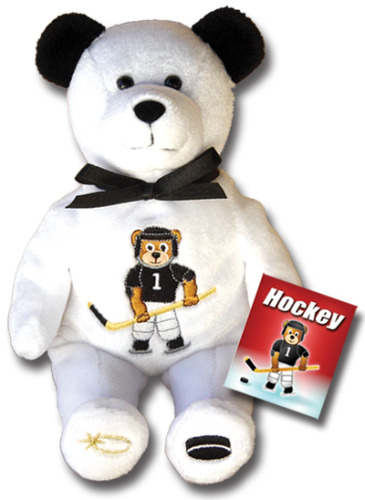 Fun and perfect for any occasion, this "Holy Bears" teddy bear features a stitched design, soft material, and pliable filling. Weighted legs make it perfect for display on a shelf, dresser, or wherever. Includes gift tag.